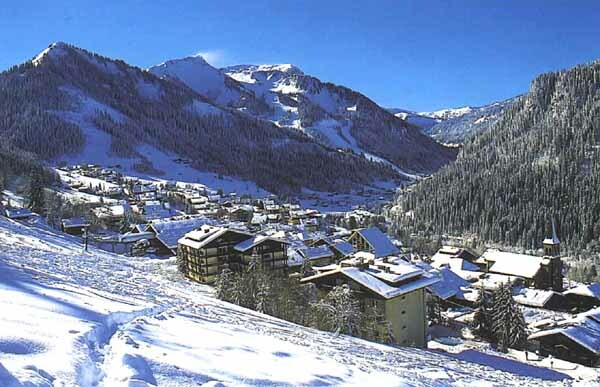 Whether you are an expert or beginner skier, the resort of Chatel provides great access to the Portes du Soleil (PDS). With a set of 3 nursery slopes of varying standards and a 4km easy green piste, Chatel is a great place for the beginner to develop their skills and passion for skiing. As an expert skier Chatel boasts a large selection of off piste skiing to challenge you and help you perfect your technique. Chatel is 1 of 12 resorts in the heart of the Portes du Soleil region. The village is located in the Abondance Valley on the border with Switzerland. Its close proximity to Thonon and Evian (35km away), between Lac Leman and Mont Blanc makes it a great holiday destination for your winter break. Only 75km from Geneva, Chatel is ideal for those seeking quality away from the big name resorts. The best adjective to describe Chatel is 'unspoilt'. It is a charming and traditional Savoyard village which has managed to maintain its alpine architecture and many of its original features. The bustling village centre with its many shops and weekly market selling regional specialities has a friendly, welcoming atmosphere. Apres ski mainly revolves around the many colourful bars and good quality restaurants. There are also plenty of other activities available in this delightful village such as bowling, two cinemas and ice-skating and new for winter 2014/15 an aquatic centre "Forme D'O" indoor and outdoor pools plus a well being (bien etre) area. The stop for the navette (free shuttle bus) is situated approximately 70 metres from chalet Les Erines. This bus stops at the Linga Telecabine in the Chatel ski area. The Super Chatel Telecabine is approximately 400m from the chalet. Quite simply, Chatel is one of the Alps best kept secrets! We highly recommend the PDS ski pass for intermediate skiers and above, as it offers the best value for money. However a Chatel ski pass can be a good economic choice too if you are comfortable leaving the pisted runs and venturing cross country now and again. We also recommend the Chatel pass for beginner skiers as Chatel is entirely adequate for the person who is only just finding their ski legs. With his wide experience of ski resorts across Europe, Peter Kuwall, who heads up the British Alpine Ski School in the village, believes that Chatel is an excellent resort to coach every level of skier.